Commercial fishing is one of America's most hazardous occupations. According to the Centers for Disease Control and Prevention, commercial fishers have a fatality rate 29 times greater than the national average. Benzene. Commonly found aboard fishing vessels, benzene is a component of oil and gasoline. Seamen who perform vessel maintenance, such as cleaning oil tanks, are routinely exposed to benzene. Long-term benzene exposure can lead to certain types of cancer, such as leukemia. Hydrogen sulfide. Decomposing fish frequently release hydrogen sulfide gas, which can be toxic when inhaled in a confined space. Hydrogen sulfide exposure may cause tremors, convulsions, nausea, and headaches. At high concentrations, people might experience a loss of consciousness—and even death. Ammonia. Fishing vessels typically have refrigeration units to store their harvests while at sea. These systems use ammonia as a coolant, and this chemical can be hazardous when leaks occur. Ammonia may cause temporary or permanent blindness, and respiratory injuries such as nasopharyngeal and tracheal burns. Exposure to high concentrations of ammonia can lead to permanent lung damage or death. Carbon monoxide. A component of exhaust gases, carbon monoxide is produced when an engine, stove, grill, or generator is running. While it's generally harmless in a well-ventilated environment, in the confines of a fishing vessel, carbon monoxide poisoning can quickly lead to illness or death. 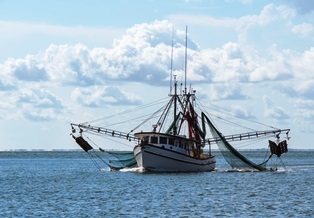 If you were hurt due to chemical exposure on a fishing vessel, you’re entitled to compensation for the injuries you sustained. You need an experienced maritime injury attorney who is prepared to fight for you. To learn more, contact the law offices of Steve M. Lee, P.C., by clicking the Live Chat button on this page.